You are here: Home / Recipes / Cake Recipes / Pina Colada Cake! Susan’s back with a great recipe for Pina Colada Cake! I asked my hubby what cake he wanted for his birthday party. Ok, I made him a Deep Dish Mango Pie for his actual birthday but that was before his party. He told me he wanted a Kathie Jackson Pina Colada Cake. She is an old friend from the days of farming and he has never forgotten that yummy cake. I couldn’t find her recipe, so I improvised….of course. 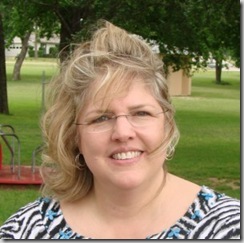 She has been on my mind every since. I also made some chocolate cupcakes for my daughter’s birthday….which we were celebrating too. These gluten free cake mixes are really delicious! Add ingredients listed on back of the boxes substituting the pineapple juice for as much of the water as possible (sorry but I forgot to write those down). Drain the pineapples, catching the juice. Put the juice in a two cup measuring cup and add enough water to make 2 cups of liquid or whatever the cake mix requires. In a mixing bowl, put 2 cake mixes along with the ingredients listed on the back, sour cream, and the juice/water mixture. Blend well. Put batter in a greased 10×14 pan and cook at 350 until done (time listed on the back of the box, adjusting for the size of pan). If using a regular cake mix put it in a 9×13 pan instead. In a bowl, mix together 1/2 can of Cream of Coconut and 1 can Eagle Brand Milk. While cake is hot, poke holes all over it. Pour milk mixture slowly and evenly over the cake with holes. Let it cool completely and then refrigerate until cold. Mix the carton of Cool Whip along with the other 1/2 can of Cream of Coconut and spread over cold cake. Optional: add coconut flakes. Thanks for the Linky! 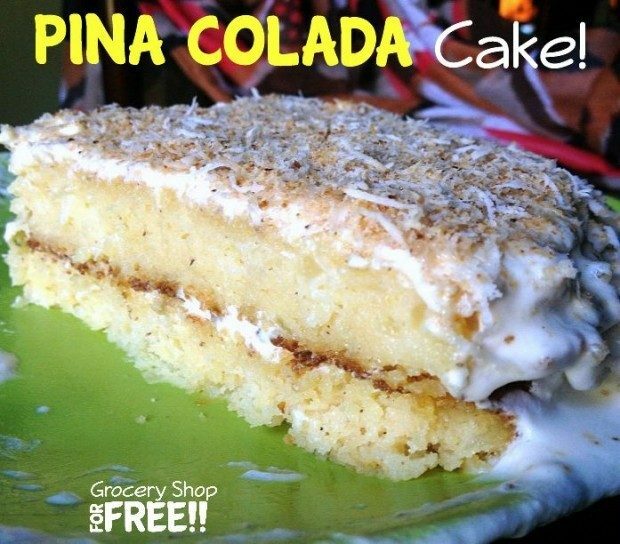 That Pina Colada cake looks amazing!